The creator of the Assassin’s Creed series, Patrice Desiléts, is currently hard at work at his upcoming prehistoric survival game Ancestors: The Humankind Odyssey. The title will be the first game from his studio Panache. Although he is putting effort into Ancestors to make sure the game is as polished as possible, he still took the time out to give fans a bit of insight on another title that they’ve known about for awhile, but were somewhat in the dark about if it would ever come to fruition. Within a recent interview, Desiléts commented on his other work 1666 Amsterdam, stating that the title is “for sure” still happening. 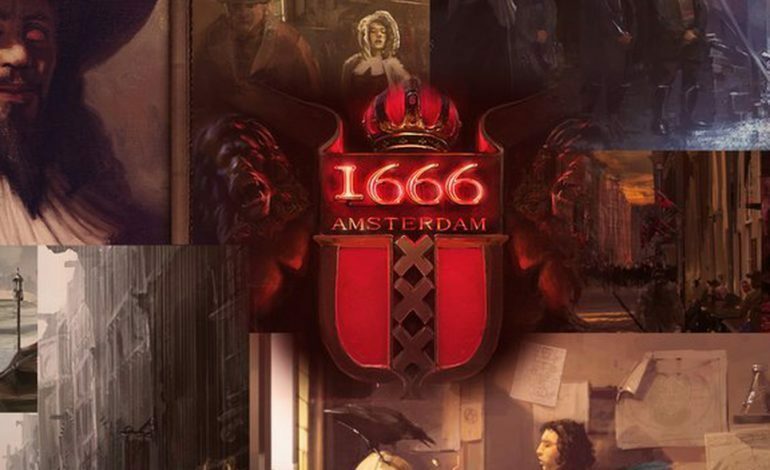 1666 Amsterdam is a game that takes some inspiration from Assassins Creed, and supposedly will put players in the shoes of the devil’s apprentice. Many were unsure after he left Ubisoft, the long legal battle following his leave over the rights to the game, and if Desiléts still planned on making the game. As it turns out, Desiléts not only is still planning on making the game, but he is using tools and knowledge from the work being done on Ancestors to be put into Amsterdam. “You put the cape on the ape and you’re pretty good to do another game,” he said. “If you think about it, climbing up a tree trunk, climbing a rock, climbing a building façade…It’s like now I’ve got a toolbox.” With this being said Desiléts stills plans to put his vision for 1666 Amsterdam into works, although he did state that whenever the game does make it’s way into development that it will most likely differ from what we’ve already seen of the game. He plans to start off with a fresh slate for the title this go around. “Now I am thinking about it a little bit. It’ll probably change a little bit,” Desilets explained. “You were more like the devil’s apprentice than the actual devil. Once I finish this and then, ‘Okay what’s next?’ If it’s Amsterdam 1666, I’ll probably restart from scratch.” Whether the very next title Desiléts and Panache work on is 1666 Amsterdam isn’t certain but this statement certainly leads in that direction.